A new report sheds light on the depth of interaction between Microsoft and the NSA's Prism spy program. The report alleges that the Redmond, Washington company collected and/or enabled the collection of private emails and Skype transmissions. According to the report England's Guardian newspaper, in addition to unencrypted Outlook.com email and SkyDrive files, the NSA has been collecting Skype video since June 2012 and audio as early as November 2010. As you might recall, Skype is the software that powers chat on Xbox One. 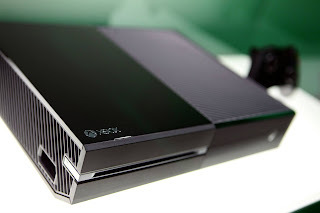 Additionally, Microsoft confirmed that the Xbox One will require the Kinect to be on in order to function. The camera and microphone bundle also offers a standby mode so that users can activate the console by voice at any time. Microsoft has also stated that the Kinect can be set to different power states so that it can be fully powered down when not in use. We approached Microsoft for comment on the allegations. “We have clear principles which guide the response across our entire company to government demands for customer information for both law enforcement and national security issues," a Microsoft representative told Game Informer. "First, we take our commitments to our customers and to compliance with applicable law very seriously, so we provide customer data only in response to legal processes. Second, our compliance team examines all demands very closely, and we reject them if we believe they aren’t valid. Third, we only ever comply with orders about specific accounts or identifiers, and we would not respond to the kind of blanket orders discussed in the press over the past few weeks, as the volumes documented in our most recent disclosure clearly illustrate." The details presented today follow earlier reports in the Guardian and Washington Post that also accuse Apple, Google, Facebook, and Yahoo of being complicit in the Prism spy program. Our TakeThe implications of Microsoft's alleged complicity with the Prism spy program feed into the fears that many gamers have had about putting a new Kinect in their living rooms. Given that the device is designed to be "always on" for optimal use (even in a low-power state), it's no wonder that some are still begging for Microsoft to cut the cord. As details about Microsoft's possible involvement with Prism continue to emerge, this is shaping up to be another in a long line of communications issues facing the Xbox One.